Graduates of Queen’s are invited to the Annual Meeting of Convocation which this year takes place at 6pm on Thursday November 15, in the Canada Room and Council Chamber in the main Lanyon Building at the University. Queen’s graduates are automatically enrolled as members of Convocation – a word which comes from the Latin convocare meaning ‘calling together’ – upon graduation. Convocation has the right to ‘discuss and pronounce’ on any matter relating to the University, thereby giving graduates a say in the life of their alma mater, wherever they are in the world. At the Annual Meeting members will vote to elect the Ordinary Members of the Standing Committee, review Standing Committee activity during 2017/18, discuss motions and hear from keynote speaker Keith A Lippert, who will deliver the 2018 Convocation Lecture, which this year is on cybersecurity. Keith, who is Vice President and Deputy Chief Information Security Officer for the Allstate Enterprise, is the first Officer in security outside the United States in Allstate history. He aims to build Allstate Northern Ireland into an externally recognised center for cybersecurity leadership. Membership of Convocation includes all graduates of Queen’s, the University’s Chancellor, Pro-Chancellors, Vice-Chancellor and members of Senate, the University’s governing body. The Chair of Convocation has a seat on Senate, so graduates can make their opinions known simply by raising them at the Annual Meeting. The deadline to submit motions for consideration at the meeting, or to obtain a nomination form to be included in the election process, is 25 October 2018. 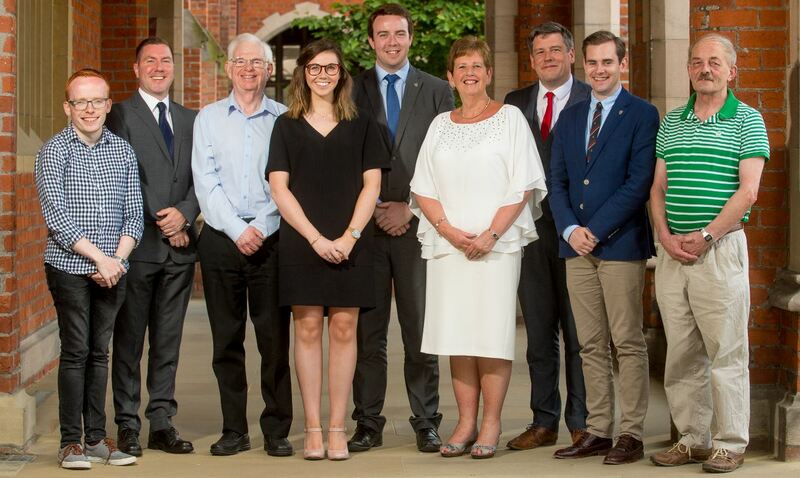 For details of the 2018 Annual Meeting visit www.daro.qub.ac.uk/convocation. To confirm attendance at the Annual Meeting RSVP to convocation@qub.ac.uk by 8 November. The Meeting will be preceded by a wine reception with hot nibbles from 5.30pm. If you wish to contact the Clerk of Convocation, please address correspondence to: Ian Moore Clerk of Convocation, c/o Development and Alumni Relations Office, Queen's University Belfast, University Road, Belfast BT7 1NN, tel: 028 9097 5218.